Kenya’s smallholder farmers are grappling with the worst climate since records began, with depressed rainfall taking a toll on yields. Industry players have fronted irrigation as an alternative to curb the weather vagaries and guarantee year round food production. However, the cost of installing irrigation materials remain prohibitive for majority of small scale farmers. Yet demand for food has continue to soar with reports and analysts warning it could be recipe for chaos. But in the midst of the tough situation farmers find themselves in, a revolutionary technology is promising to redefine agriculture. 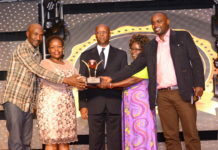 Dubbed Zeba, the innovation now in Kenya has been made possible thanks to a partnership between leading agro input company Elgon Kenya Limited and with global plant health and seed company UPL. 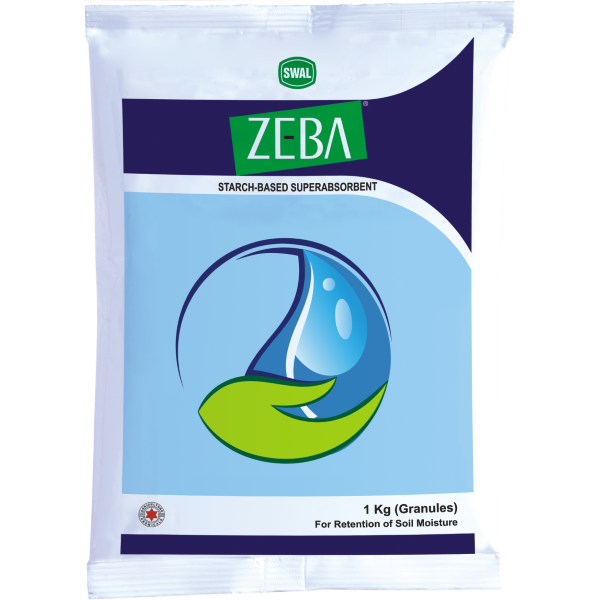 Zeba is a soil enhancer, in form of granules, which expands when it detects water or moisture in its surrounding. It is capable of extending more than 400 its size, trapping water and nutrients which it then releases only when the plant needs them. It is capable of giving back to the plant, up to 95 per cent of the water it holds and remains effective for over an year. “This is one of the most transformatory technologies we have had in the market. It allows farmers to save water while ensuring that no nutrients are lost through for example leaching. 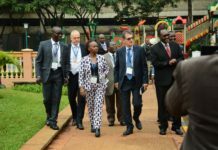 And at a time when water conservation means everything to farmers, this technology couldn’t have come at a better time,” said Mr. Bimal Kantaria, Elgon Kenya Director. With water readily available to the plant, heat and water stress is reduced, allowing the plant to devote its energy to producing larger fruit, vegetables and blooms. Zeba’s ‘bound water’ does not cause an oversaturation of water around the root structure, which can be damaging to plant roots. Because Zeba reduces the leaching of water and chemicals into the soil, less inputs are needed which promotes more responsible farming. “Zeba gives crop growers the ultimate benefit, allowing them to save water and key nutrients which would ordinarily be lost through for example leaching. Growers are therefore able to utilize two key aspects of plant growth without having to spend more,” said Nishant Pahuja the UPL Business Head for Africa. Repeated independent testing over seven years has shown Zeba significantly accelerates seedling emergence and strengthens stand establishment, resulting in consistent growth and higher-quality plants with less water and reduced inputs. The expansion and contraction of each particle in response to water availability and demand helps aerate the soil, providing more oxygen to the plant’s root system. Zeba also helps thicken lawns while minimizing dry, brown spots. “Researchers have sounded the alarm that changes in weather will hit Africa especially because a huge population relies on agriculture for their livelihood. 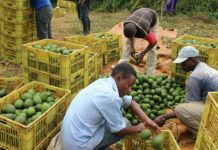 But we have to also be ahead of weather vagaries and technologies like Zeba allows us to practice year round uninterrupted farming especially now when demand for food has reached unprecedented highs,” said Savesh Kumar, the African Head of Marketing at UPL. The nontoxic and biodegradable product has been trialed on a host of crops including onions, dry beans, snap beans potatoes and flowers with growers recording between five and 10 per cent increase in yields and doubling their returns on investment. This new partnership is one of the many that Elgon Kenya continues to foster with likeminded partners as it seeks to look for smart and productive ways of producing food especially at a time when changes in weather is altering how farmers grow food. 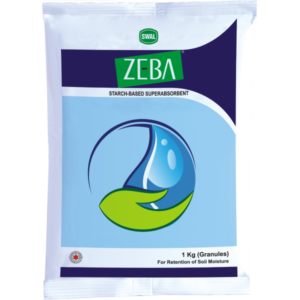 Zeba can be found at Elgon Kenya head office and in all Elgon Kenya stockists across the country.